Manfred Donike, a German biochemist born in 1933, invented the first drug test. In 1966 he successfully demonstrated that an Agilent gas chromatograph could be used to see anabolic steroids as well as other drugs in urine samples. Drug tests can be fairly common these days, but unless you’re on probation you’re most likely to encounter one when working for a company that administers them. 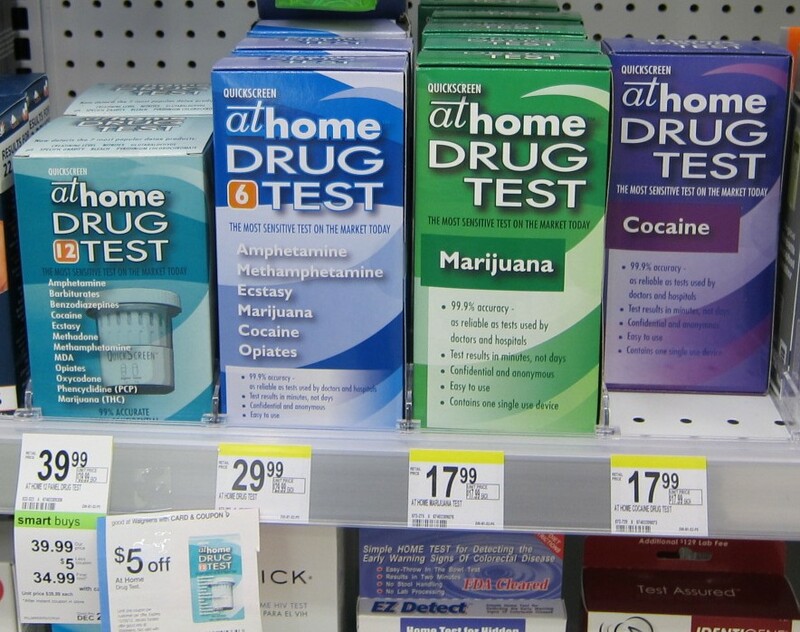 There is a surprising amount of companies that drug test, from massive employers like Walmart sometimes all the way down to local businesses. Approximately 40 to 50 million drug tests are administered to employees every year, typically on a random basis. While the first drug test could only be performed using a urine sample, today we have the technology to analyze hair, blood, saliva, breath, sweat, and fingernails. When ingesting cannabis obviously THC levels in the body rise, this typically can only be detected by blood tests for up to a day after usage. While overall THC levels in the body decrease after a day or two, THC is a lipid soluble chemical. This essentially means that THC can be stored in fat cells throughout the body, which is then slowly expelled over time. The amount of cannabis you consume on the average basis does influence how long THC will remain in your fat cells. With hair tests having the longest period of detection time, THC has been found in heavy smokers hair up to 90 days after smoking. Each type of drug test has advantages and disadvantages, however, urine drug tests are by far the most common and are the only type of test recommended by the Substance Abuse and Mental Health Services Administration (SAMHSA). Urine tests measure a metabolite called THC-COOH and will typically have a cutoff point. While often the cutoff is 50ng/mL (nanograms per milliliter) they can range between 15ng/mL and 100ng/ML. The typical rule for urine tests regarding cannabis is, don’t smoke for thirty days, but this is not a tried and true method for everyone. Everyone has a unique metabolism and will break down the chemicals in cannabis at different speeds. Even two people sharing the same gender, age, lifestyle, diet, etc. can vary greatly in the amount of time they have to wait after ingesting cannabis to pass a drug test. It does seem important to note however that those with higher fat levels will more often than not store THC for a longer period of time. So for some thirty days might not be enough to ‘get clean’ but others might need much less, in some cases people can pass drug tests only 10 days after smoking cannabis. Here are some common tips for passing a drug test, if you have one coming up don’t panic just yet! Drink tons of water. Dehydration can increase urine concentration which will improve your chances of getting a positive result. However, if your urine becomes too diluted in some cases the results will be invalidated and you will have to repeat the test. Fasting. Not eating can help burn fat which will in turn help release THC that is stored within. Drug tests have been the bane of stoners everywhere for some time, but don’t give up yet my friends.